TWO BEDROOM ATTIC APARTMENT, located in the HISTORIC CENTRE of CORROPOLI, close to RESTAURANTS and SHOPS. 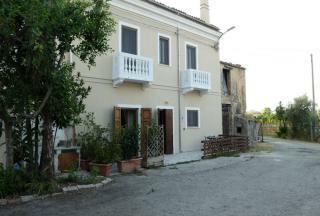 It has an ENCLOSED TERRACE and is only 18 MINUTES from the ADRIATIC BEACHES. 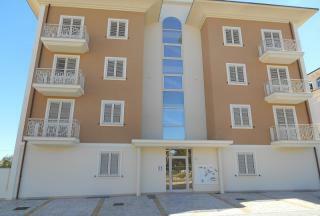 A NEWLY BUILT apartment block which is located just 500 metres from the LOVELY BEACH of Alba Adriatica. There is a CHOICE of apartments ranging in price from €98,000 - €180,000. 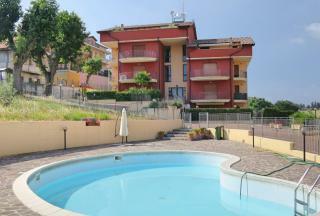 Close to RESTAURANTS and BARS these apartments are perfect for a SUMMER HOLIDAY HOME. TRADITIONAL, ONE BEDROOM, TOWNHOUSE located within WALKING DISTANCE of the HISTORICAL CENTRE of COLLECORVINO with all its AMENITIES. The property has BEAUTIFUL TRADITIONAL FEATURES, VIEWS from the bedroom and a GARDEN for OUTDOOR LIVING. 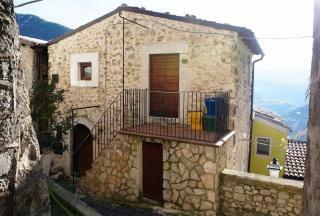 GREAT BOLTHOLE for EXPLORING ABRUZZO. DELIGHTFUL, THREE BEDROOM, TERRACED HOUSE which has been SYMPATHETICALLY RESTORED, highlighting some of its ORIGINAL FEATURES. The property has BALCONIES with SEA VIEWS and is in a GREAT LOCATION, CLOSE to the AIRPORT, PESCARA CITY and the GOLDEN SANDS of the ADRIATIC. 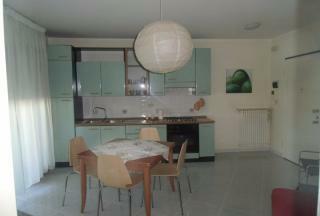 A delightful holiday APARTMENT in the thriving RESORT of GIULIANOVA. It has TWO BWDROOMS and large TERRACE with SEA VIEWS. 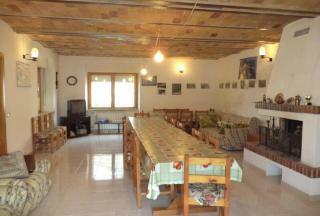 Located in a QUIET POSITION close to the town of ALANNO. This house has TWO BEDROOMS and a fabulous TERRACE, It would make a great HOLIDAY HOME as it is almost EQUIDISTANT from the AIRPORT, ADRIATIC COAST and SKI RESORTS. 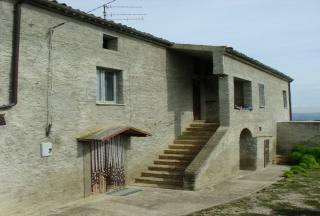 TWO BEDROOM RURAL HOUSE, close to the village of FARINDOLA. It comes with GARDEN, GARAGE and STABLES. There is the possibility to PURCHASE EXTRA LAND and a NEARBY RUIN, if required. 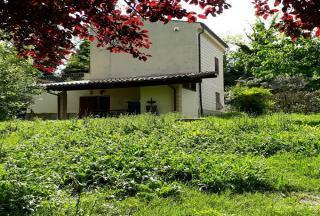 TWO BEDROOM RURAL HOUSE, just a few minutes WALK from the VILLAGE of GIULIANO TEATINO. It is HABITABLE but would BENEFIT from a programme of RESTORATION to ENHANCE the ORIGINAL FEATURES and CHARACTER of this house. The property has BALCONIES and LAND. 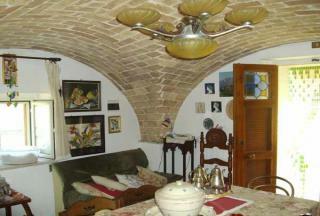 PRETTY TOWNHOUSE which has been FULLY RESTORED and is in the HISTORICAL CENTRE of CUGNOLI. The property is on THREE LEVELS anD TRADITIONAL FEATURES have been HIGHLIGHTED. 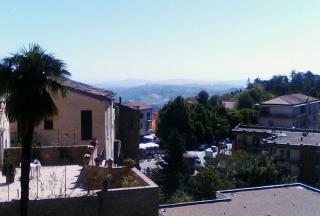 There is a TERRACE overlooking the MAIN PIAZZA and a SMALL PRIVATE GARDEN. DETACHED HOUSE which is NEWLY BUILT and with FLEXIBLE ACCOMMODATION. It has ATTRACTIVE INTERNAL FEATURES. LAND, BALCONIES, TERRACE and VIEWS. Suitable for use as a BED & BREAKFAST. TRADITIONAL FARMHOUSE with COURTYARD and GARDEN, currently divided into TWO APARTMENTS. 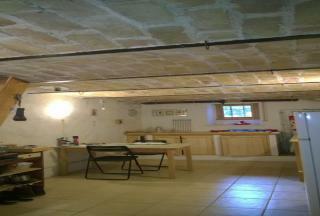 The property is RENOVATED but needs MINOR WORKS to return it to pristine condition. IDEAL as a HOLIDAY or PERMANENT HOME. The house has LOVELY VIEWS and is just TWO MINUTES from SHOPS, BARS and RESTAURANTS. 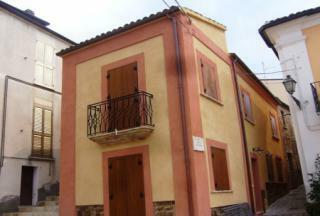 TWO BEDROOM, APARTMENT which is LOCATED in the OLD TOWN of ALANNO, close to AMENITIES. It has recently been SYMPATHETICALLY RESTORED using TRADITIONAL MATERIALS and TECHNIQUES. The property has a BALCONY, VIEWS and comes FURNISHED. GREAT HOLIDAY HOME. 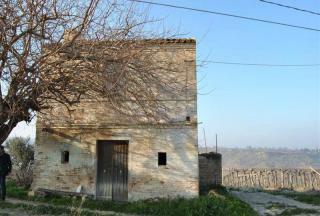 FARMHOUSE which is located in the area of COLLECORVINO, not far from the HISTORIC TOWN of PENNE. The property has FOUR BEDROOMS and is surrounded by nearly TWO HECTARES of LAND, some of which is available for BUILDING. 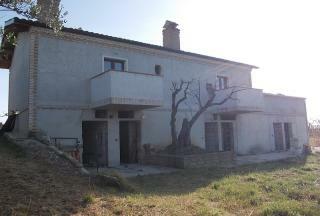 The property NEEDS RESTORATION and has lovely MOUNTAIN and SEA VIEWS. A large TRADITIONAL COUNTRY HOUSE to RESTORE. It has FOUR BEDROOMS and comes with 1,000 SQ. METRES of LAND. 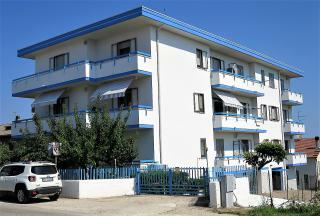 NEW APARTMENTS with either TWO or THREE BEDROOMS, close to the ADRIATIC COAST. The properties have BALCONIES, SEA VIEWS and GARAGE/PRIVATE PARKING. NEW DUPLEX, APARTMENTS, LOCATED within WALKING DISTANCE of the BEACH and the RESORT'S FACILITIES. EXCELLENT FINISHING. 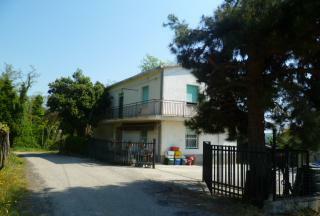 THREE BEDROOM, COUNTRY HOUSE, close to the TOWN of BISENTI with its many SHOPS, RESTAURANTS and BARS. The property is in a TRANQUIL POSITION and boasts BEAUTIFUL COUNTRYSIDE VIEWS. The house is IMMEDIATELY HABITABLE but has the POTENTIAL to DEVELOP further. Some FURNITURE is INCLUDED in the sale. ONE BEDROOM, COUNTRY HOUSE with FENCED GARDEN. It is IMMEDIATELY HABITABLE and has a LARGE TERRACE. 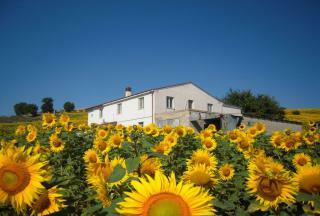 The property is in a TRANQUIL POSITION, only 2 KM from the CENTRE of ARI and 20 KM from the ADRIATIC BEACHES. 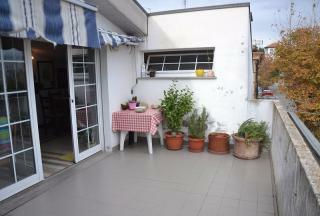 ONE BEDROOM APARTMENT which has a TERRACE and PRIVATE PARKING PLACE. 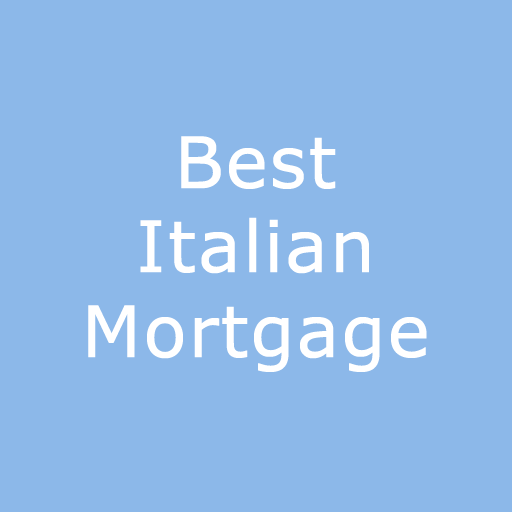 It is LOCATED in the RESORT of MONTESILVANO. It is perfect for a LOCK UP and LEAVE HOLIDAY HOME as it is CLOSE to the BEACH, SHOPS and RESTAURANTS. FULLY RESTORED, TWO BEDROOM, HOUSE with LARGE TERRACE for AL FRESCO DINING and RELAXATION. It is PART of a LARGER BUILDING and is SOLD with FURNITURE. CLOSE to SKIING. COSY, TWO BEDROOM, PROPERTY which forms PART of a RESTORED BUILDING. It is IMMEDIATELY HABITABLE and is SOLD with FURNITURE. CLOSE to SKIING. 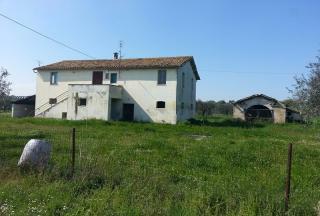 TWO BEDROOM COUNTRY HOUSE with some AGRICULTURAL LAND and VINEYARD. The property has a GARAGE and is IMMEDIATELY HABITABLE. It only NEEDS DECORATION. 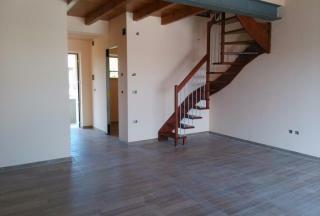 Recently RENOVATED APARTMENT, in the HISTORICAL TOWN of PENNE. It has TWO BEDROOMS and PANORAMIC VIEWS towards the MOUNTAINS and SEA. The apartment is just a SHORT WALK to numerous SHOPS, BARS and RESTAURANTS. It is also EQUIDISTANT to the ADRIATIC COAST, MOUNTAINS and AIRPORT. TWO BEDROOM TOWNHOUSE on THREE FLOORS. It comes with BUILDING LAND which could also be used as a VEGETABLE PLOT or GARDEN. The property is IMMEDIATELY HABITABLE but would BENEFIT from a little MODERNISATION. It is a SHORT DRIVE to the RESORTS of the ADRIATIC. 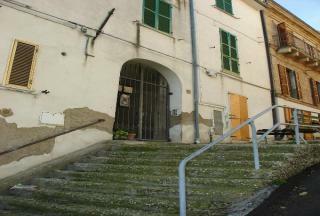 Wonderful opportunity to RESTORE an attractive, HISTORICAL HOUSE in the HEART of CASTIGLIONE MESSER RAIMONDO. With the possibility of creating FOUR/FIVE BEDROOMS, this property would make a fabulous FAMILY HOME, or, perhaps a BED & BREAKFAST. GOOD PRICE and FLEXIBLE ACCOMMODATION. 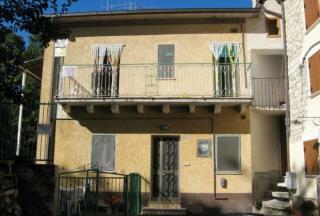 IMMEDIATELY HABITABLE, THREE BEDROOM APARTMENT on the edge of the BEAUTIFUL and HISTORIC TOWN of ATRI. The property has BALCONIES with FANTASTIC VIEWS from the MOUNTAINS to the SEA. It is within WALKING DISTANCE of SERVICES and has LOW CONDUMINIUM FEES. EXCELLENT VALUE. 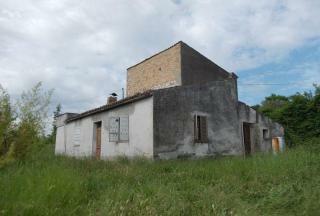 RUSTIC HOUSE which needs FULL RESTORATION and is SURROUNDED by a GARDEN. Once the works are complete, it could provide a FOUR BEDROOM HOME, CLOSE to the AMENITIES of POLLUTRI and WITHIN MINUTES of the ADRIATIC BEACHES. Good proposition. SMALL, RURAL HOUSE needing TOTAL RESTORATION. 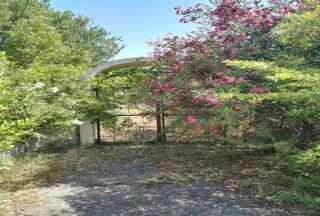 It COMES with TWO HECTARES of LAND, VINEYARD and GARAGE. The property is CLOSE to the ADRIATIC COAST and has PRETTY VIEWS. CHARMING, THREE BEDROOM TOWNHOUSE which is LOCATED in PRETORO, just a FEW MINUTES from the SKI RESORT of PASSO LANCIANO. It is BUILT into the ROCKS and has many TRADITIONAL FEATURES to give it PLENTY of CHARACTER. 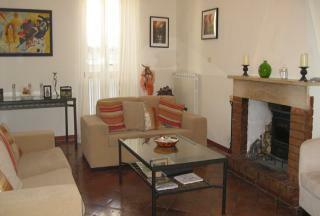 DETACHED VILLA, currently divided into THREE APARTMENTS, with private GARDEN and outdoor COURTYARD. It is located in a bright and SUNNY POSITION with 360 degree PANORAMIC VIEWS. 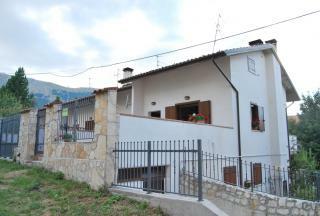 This is a RENOVATED, DETACHED PROPERTY in the village of BEFFI. 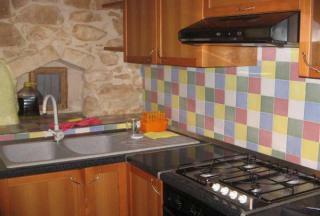 It has FOUR BEDROOMS, a lovely COVERED TERRACE and is ideally located in the NATIONAL PARK. 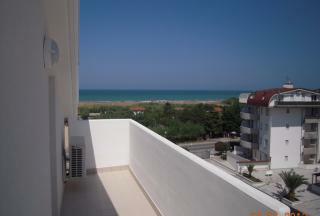 VARIETY of MODERN APARTMENTS in VASTO MARINA within WALKING DISTANCE of the BEACH. 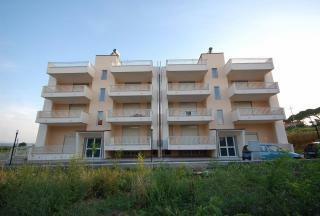 The properties have both BALCONY and GARAGE and start from €90,000. PERFECT HOLIDAY HOME. 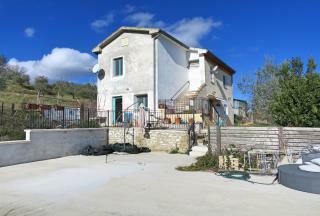 TWO BEDROOM, DETACHED HOUSE, not far from the TOWN of ORSOGNA with a WEEKLY MARKET and a wealth of SHOPS and RESTAURANTS. It needs some RESTORATION. 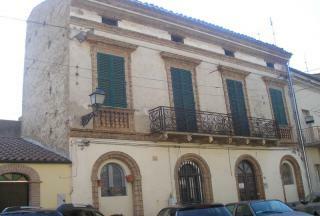 THREE BEDROOM, APARTMENT in the old part of SULMONA TOWN, CLOSE to all AMENITIES including EXCEPTIONAL RESTAURANTS. It has some OUTSIDE SPACE in the form of BALCONIES and TERRACE. 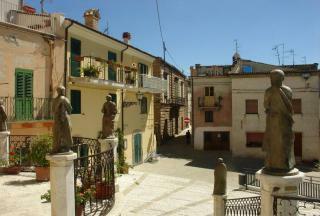 RESTORED, TWO BEDROOM, APARTMENT in the HISTORIC CENTRE of PENNE, one of ABRUZZO'S MOST SOUGHT AFTER TOWNS. It is CLOSE to SHOPS and RESTAURANTS and is IMMEDIATELY HABITABLE. The property MAINTAINS PERIOD FEATURES DATING to the 17th CENTURY. BOASTING SPACIOUS ROOMS, VIEWING is HIGHLY RECOMMENDED. A delightful FOUR BEDROOM TOWNHOUSE in CASILINCONTRADA, It is a large property which has a large BALCONY with panoramic VIEWS. Perfect for either a fully PRIVATE RESIDENCE or BED & BREAKFAST. TWO BEDROOM, RESTORED, TOWNHOUSE in LORETO APRUTINO, within WALKING DISTANCE of SHOPS, RESTAURANTS and HISTORIC ARCHITECTURE. The property IS CHARMING with its TRADITIONAL FEATURES, BALCONY and VIEWS. There is AMPLE FREE, PARKING NEARBY. 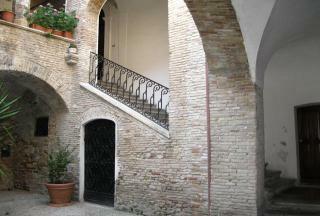 Delightful TOWNHOUSE in the heart of the HISTORICAL HEART of CASTIGLIONE MESSER RAIMONDO. Currently divided into TWO APARTMENTS with a total of FOUR BEDROOMS, the property is perfect for RENTAL or B&B accommodation. FURNITURE is INCLUDED. 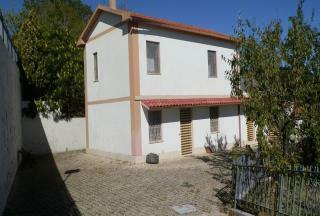 DETACHED HOUSE with 190 SQ. METRES of LIVING SPACE and 1 HECTARE of LAND. It is has 4 BEDROOMS and 3 BATHROOMS. 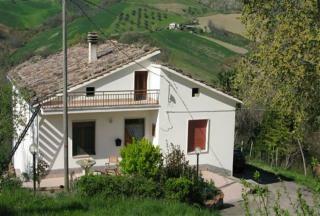 It is near the STUNNING VILLAGE of PENNAPIEDIMONTE and BENEFITS from INCREDIBLE VIEWS! It comes FURNISHED and the EXTERIOR can be PAINTED to your own COLOUR CHOICE. PRICE NEGOTIABLE. 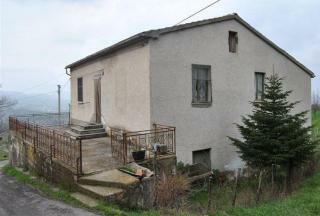 RESTORATION PROJECT of a THREE BEDROOM, FARMHOUSE located just a FEW KILOMETRES from PENNE. The property needs some STRUCTURAL WORKS. It has LOVELY VIEWS and comes with 7,000 SQ. METRES of AGRICULTURAL LAND with the POSSIBILITY of PURCHASING MORE. Great potential to CREATE a LOVELY HIOME. UNUSUAL TOWNHOUSE, with TOWER, whIch needs MODERNISATION. 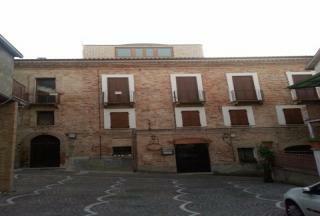 It is located in the HISTORIC HEART of PIANELLA, close to SHOPS and RESTAURANTS. The property has FIVE BEDROOMS, GARAGE, TERRACE and PANORAMIC VIEWS from the TOWER. POTENTIAL for a large, FAMILY HOME or BED & BREAKFAST BUSINESS. 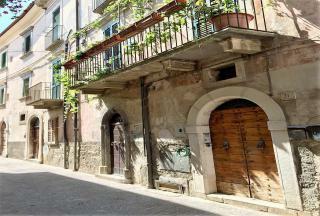 APARTMENT in one of the FINEST PALAZZI of PENNE'S HISTORIC CENTRE. It is CURRENTLY OPERATED as a DENTAL PRACTICE but would easily CONVERT to a THREE BEDROOM APARTMENT. This would entail the MINIMUM of COSMETIC WORK, together with the INSTALLATION of a KITCHEN. An INTERESTING OPPORTUNITY. 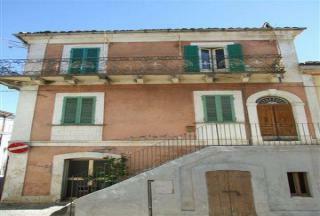 CHARMING, THREE BEDROOM, TOWNHOUSE which has been SYMPATHETICALLY RESTORED. 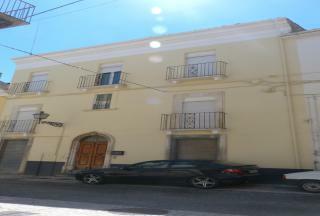 It is LOCATED in the HISTORIC TOWN of PACENTRO, within WALKING DISTANCE of AMENITIES. TWO BEDROOM, APARTMENT which is LOCATED within WALKING DISTANCE of the BEACH and the RESORT'S AMENITIES. It is on the THIRD FLOOR and is accessed by an ELEVATOR. The property benefits from a TERRACE and PRIVATE PARKING. Excellent RENTAL POTENTIAL.